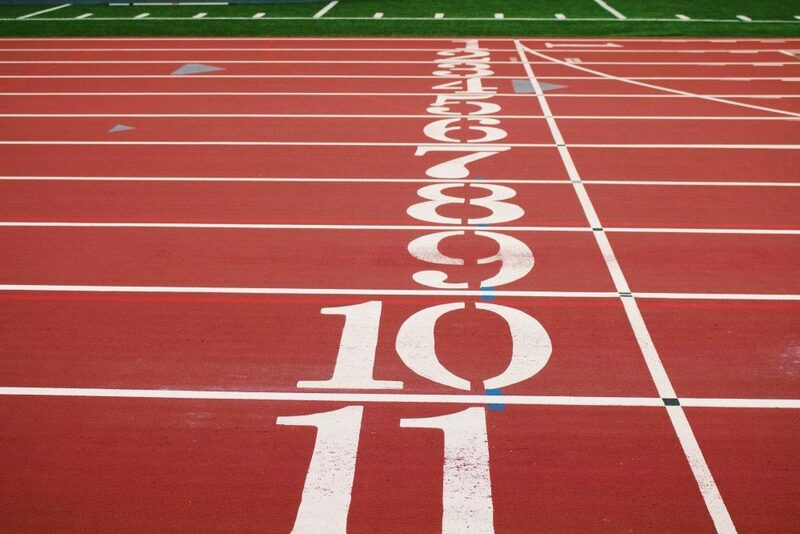 This race time improvement calculator makes that math easy. With its help, runners can check percentage improvements in running time. All you need is to remember your recent race result. It is a base for all the calculations that provides values of boosted time scores. Thanks to that, you can quickly and easily find e.g. a target time for 3% race result improvement. Keep running and reading to see how handy it is! You can see running times in different units - they can be displayed in hours:minutes:seconds, only seconds, minutes or hours, even few more combinations. Choose the best option yourself. If you need some custom % time improvements (which are not on the list), open the Advanced mode. Here, you can type in a particular value of percent improvement. The improved result will be displayed below. improved time = race time * 0.95 - here it is! You can calculate all the remaining time improvements in a similar way. If you are interested in calculating percentage changes or improvements in other areas of life, visit our percentage change calculator. It is more general and thus can deal with more problems and questions. There is no calculation for 6% improvement which is your target? Don't worry, open the Advanced mode and type it in manually. The longer you run, the more you train, the more difficult is to cut minutes off your time. Probably you know that observation very well. Sometimes using a percentage to plan running improvements is much more practical. Highly trained athletes should expect improvements in the 2-4% range, while newbie runners can usually look for slightly better rates of initial enhancements. 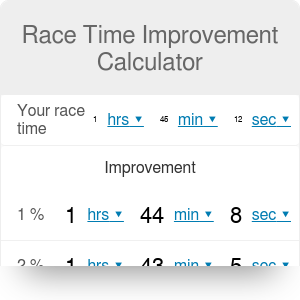 Race Time Improvement Calculator can be embedded on your website to enrich the content you wrote and make it easier for your visitors to understand your message.